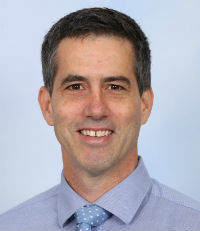 Over the last four years, Paul Tozer has led his school community to develop highly engaged students who are connected to their learning, whilst also having a large hand in the improvement agenda of his network. Data from the Student Attitude to Schools Survey, NAPLAN testing and the Staff Opinion Survey shows that Numurkah Secondary College is above the state average across the board and leading in all of these key metrics. Tozer has developed clinical practice rooms equipped with fish-eye cameras that can record visuals and sound of the entire classroom. He has led his staff on how to use this technology and has coached teachers on how to engage in productive self-reflection and how to be a critical friend for peer observations. By giving staff the ability to focus on a range of areas within the classroom and the capability to review a situation multiple times, the technology has proven to be an outstanding development tool for building teacher capacity.